Earvin Johnson could have landed up at Chicago Bulls, you know? Or at the New Orleans Jazz. But in that heady April of 1979, Johnson ― still a few years away from earning his nickname ‘Magic’ ― ended up on the roster of the Los Angeles Lakers. Due to a coin toss! Fate! Or sheer dumb luck! He didn’t end up at the Jazz because they had traded away their draft pick to the Lakers in 1976. He didn’t end up at Chicago, because back then the two franchises with the worst record in each conference would decide the first draft pick by virtue of a coin toss. Enter Lady Luck! The Bulls ― having run a fan contest to decide what to call in the coin flip ― called heads. They got it wrong and the Lakers won. But there was another snag. The Lakers management, including then-owner Jack Cooke, wanted the team to draft Sidney Moncrief as the first pick. However, it was Jerry Buss, who had just signed a deal to buy the Lakers from Cooke, who insisted on buying Johnson ― in fact, he went as far as threatening to back out of the deal to buy the franchise. That’s the story of how Johnson became a Laker. Put it in any way you’d like, but you have to admit, the Lakers and Johnson were meant to be. Until Magic Johnson unceremoniously stepped down from his job as President of Basketball Operations. 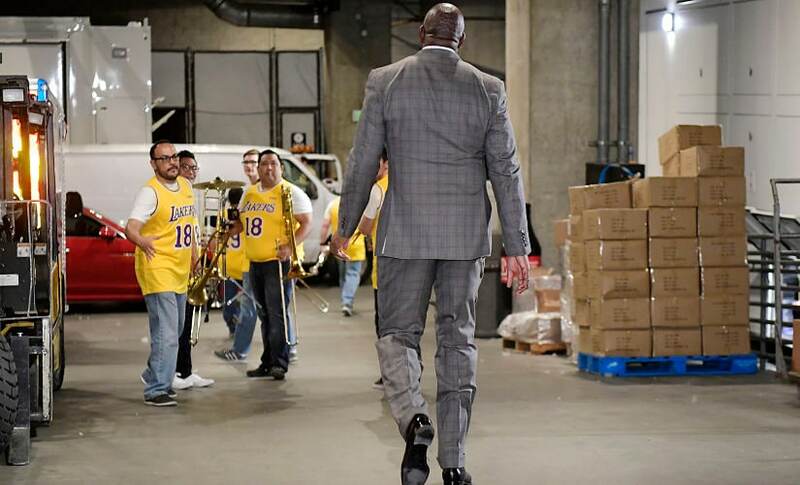 Without as much as an exit interview or a face to face conversation with his boss, Jeanie Buss, the daughter of the man who brought him to the franchise in the first place. Johnson’s statement while he announced his decision at an impromptu press conference was particularly revealing. “You never want to let my sister (Jeanie Buss) down. Or the Lakers down. But I realised I was letting myself down. By not being Magic Johnson. 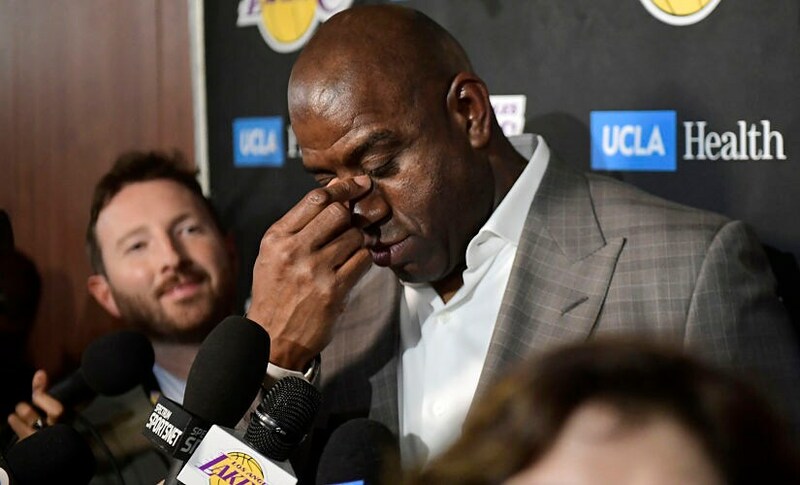 So this was a decision I had to make,” said Johnson during one of the multiple press interactions he had on the day of Lakers’ last home game of the season at the Staples Centre on Wednesday. 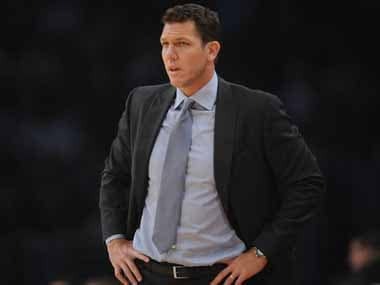 Johnson, it is said, did not want to fire coach Luke Walton despite having been given the power to do so. As he mentioned in multiple interviews since stepping down, he was also bothered by his role which required him to keep contact with players from rivals teams to a minimum due to the league’s strict anti-tampering regulations. But above all, he wanted to “go back to having fun again”. Call it an ironical sequence of events. But it was just after Johnson was hired by the Lakers in 2017 that Jeanie Buss had stripped her own brother Jim Buss off all basketball power within the franchise. In doing so, she entrusted in Johnson the responsibility to reinvent the Lakers, just like her father had done with Johnson, Kareem Abdul-Jabbar and James Worthy in 1979 when the Showtime Lakers were born. Two years on, Johnson leaves behind a franchise in need of resuscitation more than reinvention. A franchise which resembles Soap Opera Lakers rather than the Showtime Lakers. "Eight years without a championship for the Lakers feels like hundreds of years without a title," Brook Lopez had told Firstpost during a visit to India in May last year. At the time, he had just finished his first season with the LA Lakers. As fate would have it, there would be no second. The Lakers roped in LeBron James to end the title drought the following season. Lopez, suddenly surplus to requirements, was shipped out. Ironically, as the Lakers are in a huddle about the future having missed the Playoffs bus for the sixth consecutive season, Lopez has established himself as an integral part of the Milwaukee Bucks, who topped the Eastern Conference this season. Everything that could have gone wrong for the Lakers this season has gone ahead and done so. LeBron ― a man who played in all 82 games for the Cleveland Cavaliers last season, besides almost single-handedly dragging the team to the NBA Finals ― picked up a groin injury, unlike any he’s ever had in a long career, and missed a clutch of games at a decisive stage of the season. The franchise's coup to get Anthony Davis to LA ended up with their best young and veteran players getting spooked about their places. There were telling demonstrations of a rift in the locker room ― veterans like Michael Beasley, Lance Stephenson and JaVale McGee all had a heated exchange with coach Walton after another one of their energy-sapping defeats. And then there were debilitating defeats ― such as the 42-point blowout against the Indiana Pacers. Johnson, the man with possibly the brightest smile in the NBA, thought he could heal the fractures in the team morale by a hug. Literally, by hugging it out! “It’s a part of business, it’s a part of being a professional athlete. I’m going to hug them and tell them that we got to come together and our goal is still in reach, which is to make the Playoffs,” he had said after the trade deadline had passed. But in the Lakers, he found a challenge even he could not charm or hug his way out of. So eventually, as the season ended without a Playoffs spot, he quit two years into his dream job aborting a project to turn the Lakers around. 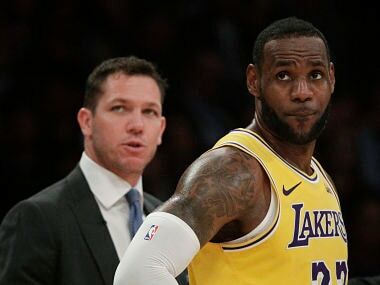 To make things worse, Walton is also out of the Lakers leaving the franchise with a plethora of problems and a dire need to find two troubleshooters who could fix them. The upcoming free agency could resurrect the Lakers or plunge them deeper into the abyss they find themselves into. 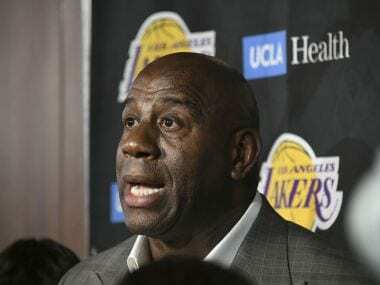 Jeanie Buss now knows that the Lakers need a lot more than Magic’s charm and LeBron’s raw grit to get out of this one.